In this tutorial you will learn how to switch to front facing camera on iPhone running on iOS 7. Being a cool device as it is, iPhone 4 and iPhone 5 has two cameras: one on the back of it, and one facing its user. Many users of iPhone are famous for posting numerous pictures of themselves on Facebook and Instagram – with a help of their front facing cameras, of course. Back to the early years of iPhone, one had to use a mirror, family or friends to take the perfect portrait with iPhone. Do you remember? A waste of time and energy! If you love yourself that much, you don’t have to ask anyone to take your picture, just do it yourself since only you really know about best angles. Jokes aside, front facing camera helps not only taking self-portrait, but doing video resumes, rehearsing speeches and communicating with people on Skype and, of course, FaceTime using your iPhone or iPad. Step 1. By default, you have the back camera activated. To switch cameras, launch the Camera app and press the small “camera and arrows” button in the upper right corner. The camera switch works for taking photos as well as video recording. Now what are you waiting for? Check up your makeup and hair and take that portrait! Step 2. 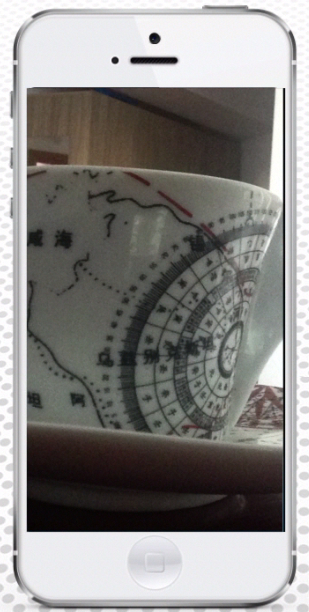 To switch to back camera again, tap same button in the upper right corner. Step 3. Be aware that iPhone 5 cameras have different resolution. The back camera has higher resolution reaching precisely 3,264 x 2,448 pixels. It can record 28-megapixel images. It’s enough to take a professional photo shot or even short films, provided you have good light conditions. It also has more sophisticated light sensors that help it to adapt to shooting in low-light conditions. Step 4. The front facing camera has more modest qualities: it shoots 1.2-megapixel photos and videos of lower quality. Not much, but enough for social network pictures and YouTube videos. Here are two instances of the same object taken with the back camera and front facing camera. The difference is obvious. 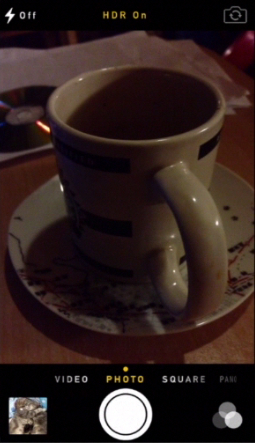 Result: When you know how to use both iPhone cameras, it’s time to demonstrate it to friends on FaceTime! Just switch on your front camera and enjoy, well, your true self.